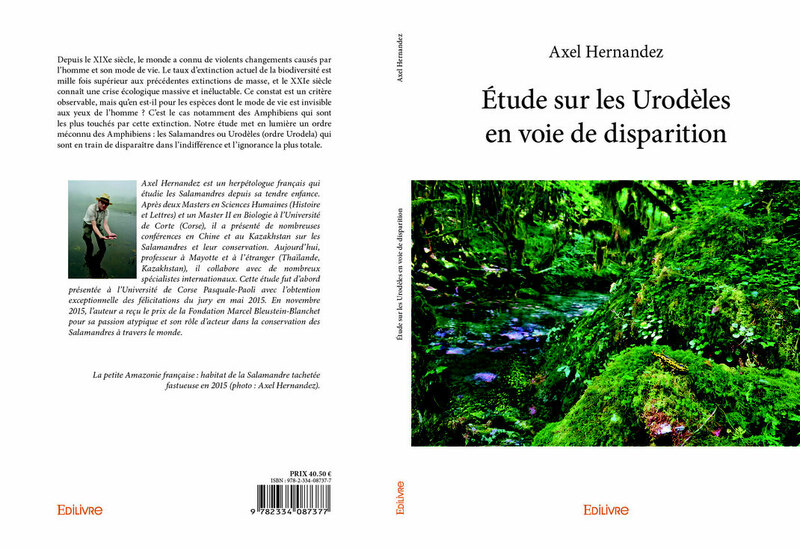 After two published books : “Les Urodèles en voie de disparition” (2016, Edilivre, Paris, 120 p.) and “Les Salamandres crocodiles du genre Echinotriton en Asie du sud-est: de véritables fossiles vivants au bord de l'extinction” (2016, Edilivre, Paris, 112 p.); Pr. 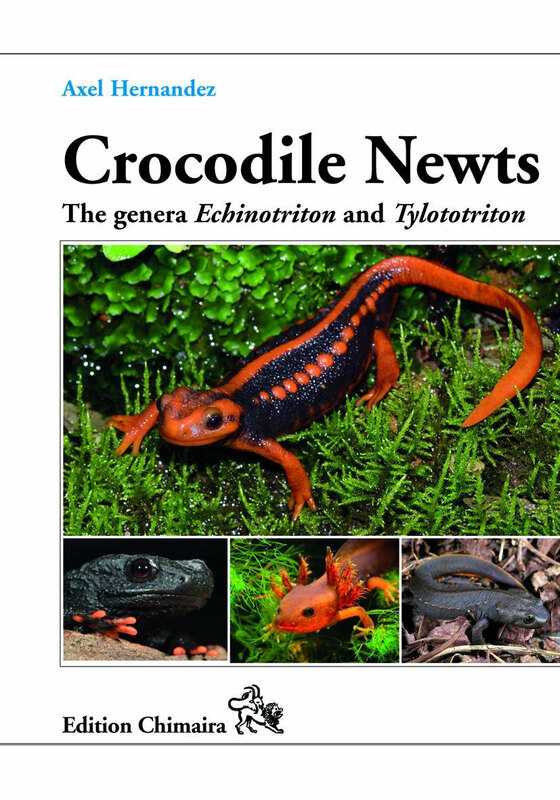 Axel Hernandez has decided to publish this year with Chimaira edition a new comprehensive study of the Primitive Salamandridae from Asia (Genera Echinotriton and Tylototriton). This new book is intended to summarize all the knowledge on each 25 species. 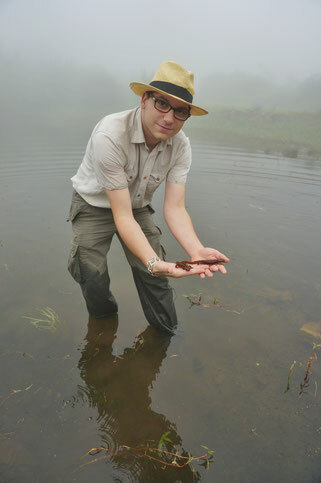 This research is fed by the author’s field studies in Asia with chinese Amphibian specialists such as Pr. Hou Mian, Pr. Liang Fei, Pr. Ye Changyuang, Dr. Xie Feng, Dr. Jiang Jianping & Dr. Zhiyong Yuan (China, Thailand, Myanmar, Vietnam and Laos) since 2001; and improve our understanding of this marginal group of poorly known salamanders. The book includes : A preface made by one of the most famous amphibian specialist Professor Liang FEI (Chengdu Institute of Biology, Academy of Sciences, China), Acknowledgements, Travel notes from southern Asia, The Primitive Salamandridae of Asia (Natural History), Mass extinction of salamanders around the world, Phylogeny of the two genera with a new classification, Taxonomy, Biogeography, Ecological data for each 25 species known to this date, detailed pictures and maps, reproduction and captive husbandry for conservation purposes. 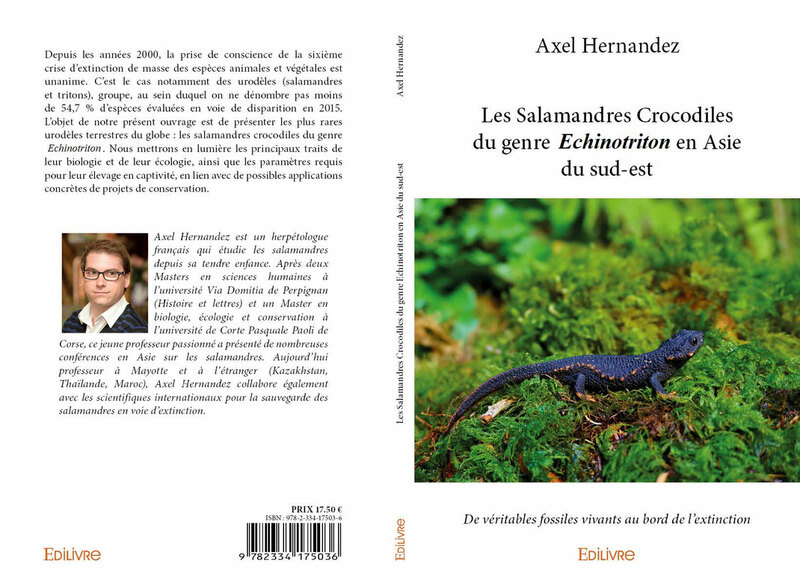 This book is dedicaced to the world famous herpetologist and specialist of Salamanders, Jean RAFFAËLLI author of "Les Urodèles du monde" I & II (2007, 2013; Link: http://lesurodelesdumonde2.jimdo.com/) and co-author of the New Taxonomy of the entire Urodela group with the famous french scientific: Professor Alain DUBOIS (2009, 2012). His thoughts and knowledge illuminate and give life to this study. The last decade saw numerous new taxa being described within these genera, emphasizing that our understanding the complexity within this group is still at an early stage. At the same time, urodeles are disappearing at an unprecedented pace, and it is to be hoped that the information provided here will help with conserving them in and ex situ. To this end, it was attempted to summarize all knowledges for each 25 species: Echinotriton maxiquadratus, Echinotriton chinhaiensis, Echinotriton andersoni, Tylototriton verrucosus, Tylototriton shanjing, Tylototriton pulcherrimus, Tylototriton anguliceps, Tylototriton podichthys, Tylototriton uyenoi, Tylototriton yangi, Tylototriton shanorum, Tylototriton himalayanus, Tylototriton kweichowensis, Tylototriton taliangensis, Tylototriton pseudoverrucosus, Supraspecies asperrimus, Tylototriton asperrimus, Tylototriton hainanensis, Tylototriton notialis, Tylototriton ziegleri, Supraspecies wenxianensis, Tylototriton wenxianensis, Tylototriton dabienicus, Tylototriton broadoridgus, Tylototriton lizhengchangi, Tylototriton liuyangensis, Tylototriton vietnamensis, Tylototriton panhai; including morphological diagnoses and previous taxonomical studies, variation observed, distribution, habitat, ecology, ethology, and new data for individual species on their reproductive biology and captive breeding requirements that may prove useful for conservation breeding efforts, as well as information on their present conservation status, threats and conservation measures. In this new book the author also applies the supraspecies concept suggested by Dubois & Raffaëlli (2009, 2012) and Raffaëlli (2013) in line with the ICZN Code. A supraspecies is a rank applicable to groups of closely related species below subgenus and above species. In Tylototriton, the rank of supraspecies is particularly useful to express in taxonomic terms divergences that have become apparent through molecular phylogenies. One could use terms like superspecies, species group or species complex, but none of these are of taxonomic relevance as per the Code. 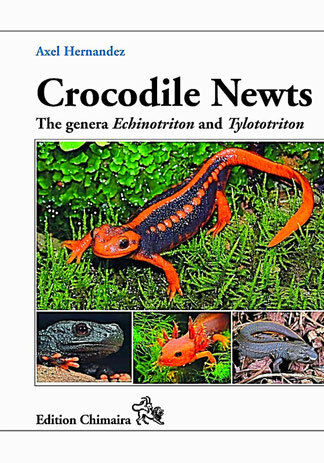 The concept of "epispecies" should be recognized by the Code and would be a good option to group some very closely related species within supraspecies like those I treat here as clades in the subgenera Tylototriton and Yaotriton. Pr. Axel Hernandez is a French herpetologist, professor and author graduated between 2012 and 2015 from University of Perpignan Via Domitia (M. A. French Language Pedagogy; M. Sc. History, Historical Art and Archeology) and University of Corsica Pasquale Paoli (M. Sc. Biology: Engineering, Ecology and Environmental Conservation). 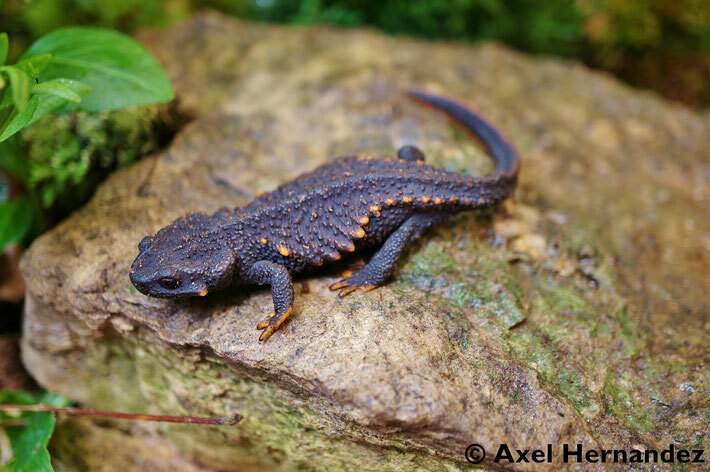 His final Master's thesis was based on a new interpretation of the global Urodela crisis and conservation of Newts and Salamanders, in which course He set up new programs at Thoiry's Zoological Park (Paris) with Dr. Cathy Gibault and Arnaud Jamin (FUG) during an internship that included a captive husbandry for the highly endangered Iranian newt, Neurergus kaiseri. This first study was published in 2016 (Edilivre editions, Paris). On October 2015, Axel Hernandez was awarded Laureate in Ecology for the Bleustein-Blanchet Foundation (with Elisabeth Badinter and Allain Bougrain-Dubourg) that supports His current research on Conservation and Ecology. 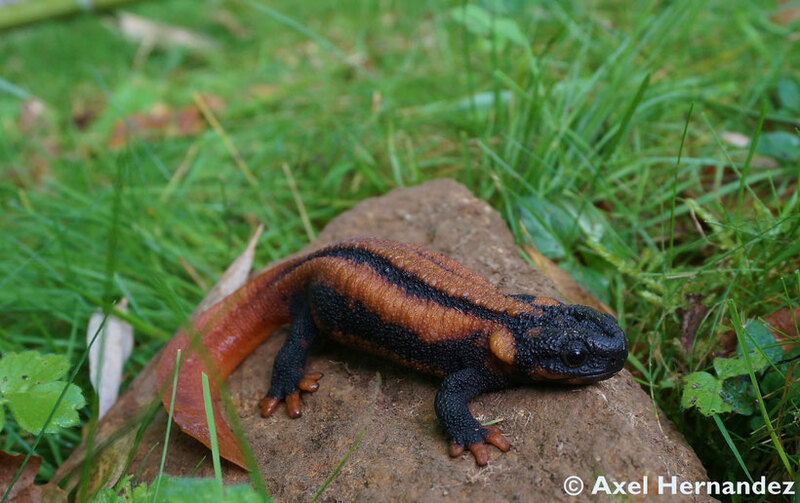 Also member of the French Urodela Group (FUG) and the DGHT (AG Urodela, Germany), His current research interests are Ecology, Natural History and Conservation of Salamanders. At the same time, He worked in different countries all over the world (University of Foreign Languages; Alliance Française of Kostanaï, Kazakhstan; Satree Nakhon Sawan School, Thailand (French Embassy), Lycée Nelson Mandela, Vice-Rectorat of Mayotte and for the AEFE (Ministry of Foreign Affairs and International Development) Léon l'Africain, Casablanca). Axel Hernandez awarded by the Bleustein-Blanchet Foundation in Paris, 2015.